Quintessential New England grace distinguishes Glastonbury, situated on the eastern border of the Connecticut River in central Connecticut, just nine miles southeast of Hartford, the state Capitol. For all its near proximity to the urban sophistication, Glastonbury is a quietly historic haven that was founded in 1693. The broad Main Street's gracious homes and classic Town Green vividly evoke the past; The Old Cider Mill, circa the early 1800's and the most antique mill, is still pressing delicious refreshments; the Glastonbury- Rocky Hill Ferry, the oldest continually operating ferry in the country, has been bringing inhabitants over the water since 1655. Striking a balance between meeting the current needs of its citizens and preserving the 52.5-square-mile town's rich natural beauty and fine antique character, a Town Council and Town Manager govern this scenic, primarily residential community. and purchase homemade goods....it is a day to be cherished at Rose's Berry Farm! 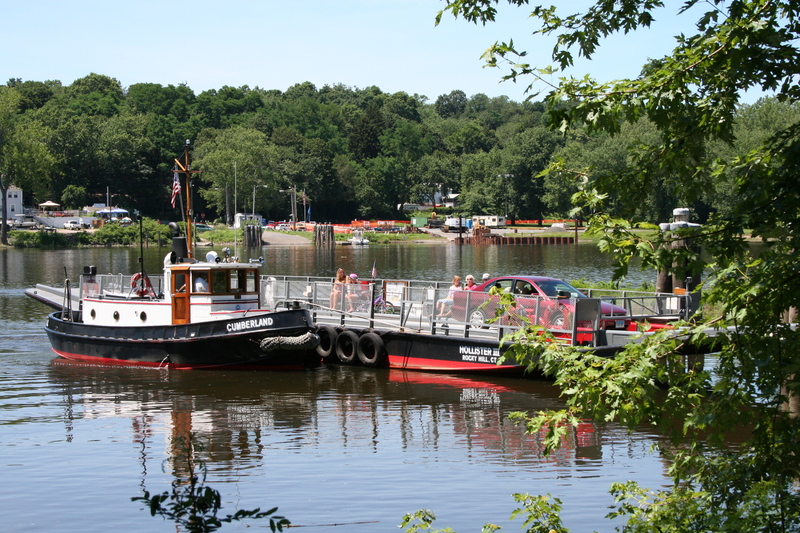 Why not after brunch at Rose's take a ferry ride across the Connecticut River for some fun? The ferry is the nation's oldest continuously running ferry that crosses the river just off Ferry Lane which runs directly from Tryon Street. More History about the ferry can be viewed here "Ferry". of the spectacular views, and you will get a true sense of how special this location is to all that live here.